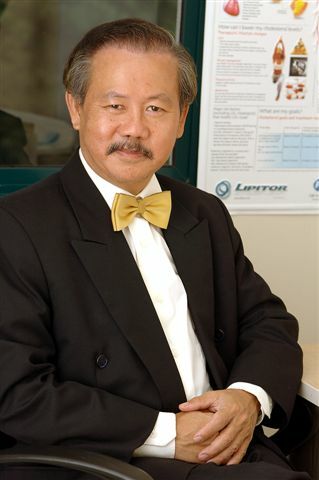 Graduating from University of Malaya (MBBS) in 1976, , he completed his post-graduate dermatology training with distinction at the St. John's Institute of Dermatology, University of London in 1981 winning the distinguished Chesterfield Gold Medal. He began his career in dermatology at the National Leprosy Control Centre at Sungei Buluh under the mentorship of Dr. K Rajagopalan. For his post-graduate research he worked in Leprosy Immunology under Dr. RJW Rees at the National Institute for Medical Research, Mill Hill, London with awards from the British Leprosy Relief Association and the Smith and Nephew Foundation. He studied leprosy histopathology under Dr. Dennis Ridley at the London School for Tropical Diseases. He was the acting Head, leprosy research Unit, NLCC before moving to the Department of Dermatology, HKL in 1981. He presents regularly at scientific meetings locally and internationally including the World Congress of Dermatology in Sydney in 1997. He is an invited speaker to the 17th RCD, 2006, Bali, the 21st World Congress of Dermatology, 2007 and the Asian Congress of Dermatology 2008. He was a founding member of the faculty for the Advanced Master in Dermatology Course, Universiti Kebangsaan, Malaysia and is a honorary visiting Professor of Dermatology to the Department of Dermatology, XinHua University, Shanghai. He was the founding editor of the Dermatology Journal of Malaysia and has published work in leprosy, psoriasis, alopecia and photoaging in both local and international journals.